Lely North America is excited to introduce Nebraska Dairy Systems to our Lely Center dealer network! Nebraska Dairy Systems is a full-service dairy supply company servicing producers in Nebraska, Kansas, South Dakota and Iowa from two strategically located offices in Norfolk, NE and Ravenna, NE. Owned by Rick Meysenburg, Nebraska Dairy Systems started their “Lely Life” in November 2015 as a satellite Lely Center in cooperation with Gorters Clay and Dairy based in Pipestone, Minnesota. In September of this year, Nebraska Dairy Systems became a standalone Lely Center. While the relationship between Nebraska Dairy Systems and Gorters Clay and Dairy has evolved, they continue to work together through the transition in the spirt of cooperation and willingness to assist each other in order to offer the best possible installations and service to the dairy community. Nebraska Dairy Systems has built their reputation on outstanding products and exceptional service. 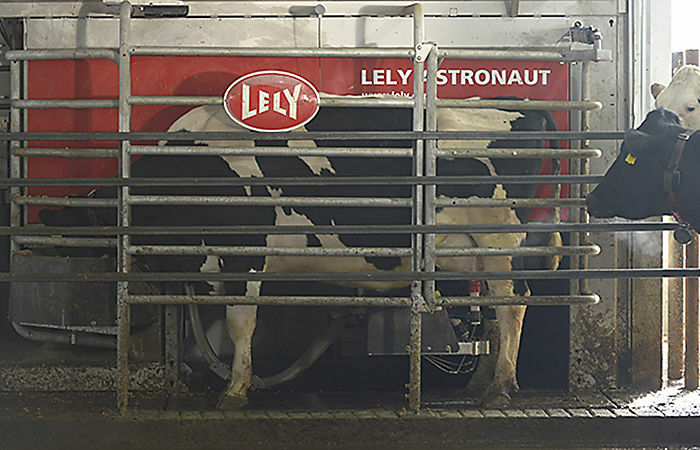 There are three Lely factory trained installation technicians. Two technicians, Greg Dumpster and Ben Cheney, have completed Service Level One training, and Ben Cheney has also completed Service Level Two and Barn Products Training to receive the designation Master Technician. To date, three barns have been started, totaling 17 robots. A fourth is in the final stages of being built; this 4-robot project is slated to start in mid-January 2018.